Using our global satellite image and digital elevation datasets we can render large and detailed topographic globe images. The height of the "bumps" and depth of the seafloor can be controlled to balance impact and accuracy. 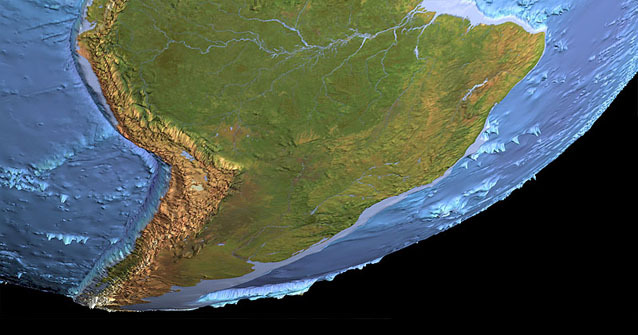 This extract from a full-globe image combines satellite imagery on the land with a depth-based colour scheme for the oceans, lakes and rivers. Globes like these can be rendered with or without "bumps", sea surface and atmospheric haze.